Painted King Tacks are used as a closure system for Color PVC Fitting Covers and Color PVC Jacketing. When installing non-white colored PVC insulation covers the use of standard white King Tacks make the insulation look unprofessional because the white tack heads stick out from the color PVC making them extremely noticeable and unsightly. Colored King Tacks are painted to match the PVC colors for Zeston/Speedline PVC. Select the color you require and select the quantity needed. *Please note that paint colors may vary slightly from the actual PVC colors. 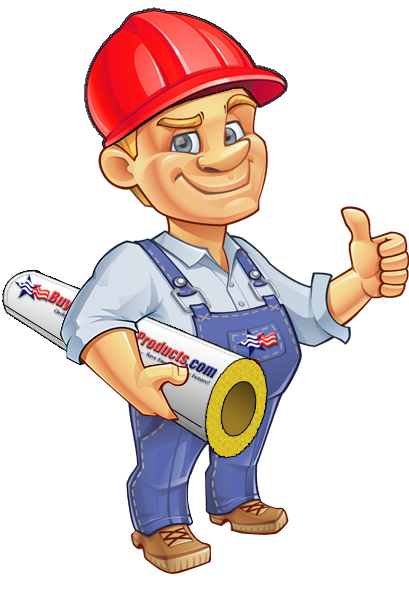 If you are using standard white PVC Fittings/Jacket please order the standard White King Tacks. We install a lot of colored PVC covers and jacket and this is the first time we used the painted tacks. In the past we used colored markers to paint the tack after install which we found was time consuming and still stood out. These colored tacks match the color of the PVC good. You are going to need these! Pretty similar to thumb-tacks, but are serrated to keep them from backing out. Be sure to order these when you order your fittings! Glad these came in the 50 qty. bag to use on my residence, as 500 is a little bit more than I'd ever need! Thanks for limiting wasted product and money. The tacks work fine. The how-to videos were helpful. I found it easier if I used a small bungee on the elbows and Ts (1 on the elbows and 2 on the Ts) to secure them temporarily and that made it easier to put in the tacks. The products in general were high quality- better than Home Depot. I purchased the Stainless Steel Tacks in connection with my purchase of 90 degree and Tee fittings. The tacks hold the fittings in place and were not hard to push into place. Click the button below to add the Painted King Tacks for Color PVC to your wish list.